It wasn’t as close as last year’s final, but that doesn’t mean it was any less dramatic. 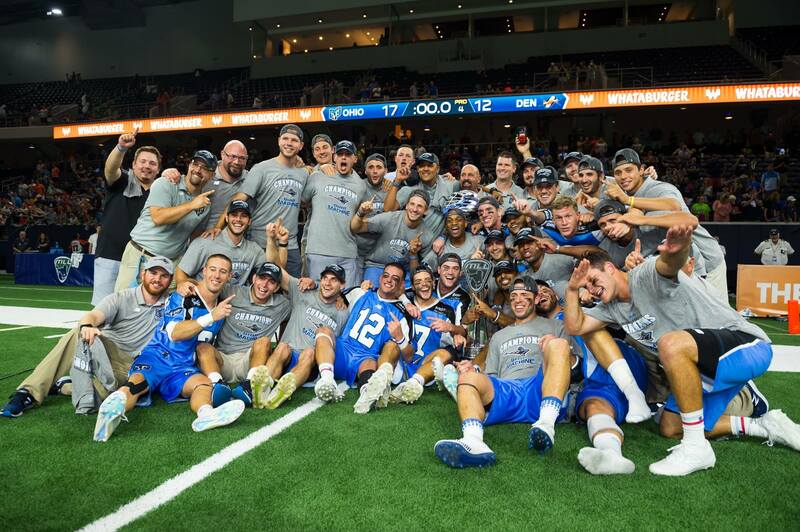 A year after losing to the Denver Outlaws in the last seconds of the 2016 Steinfeld Cup, the Ohio Machine roared to life in the fourth quarter on Saturday night for a 17-12 win over the Outlaws to capture their first Major League Lacrosse championship. 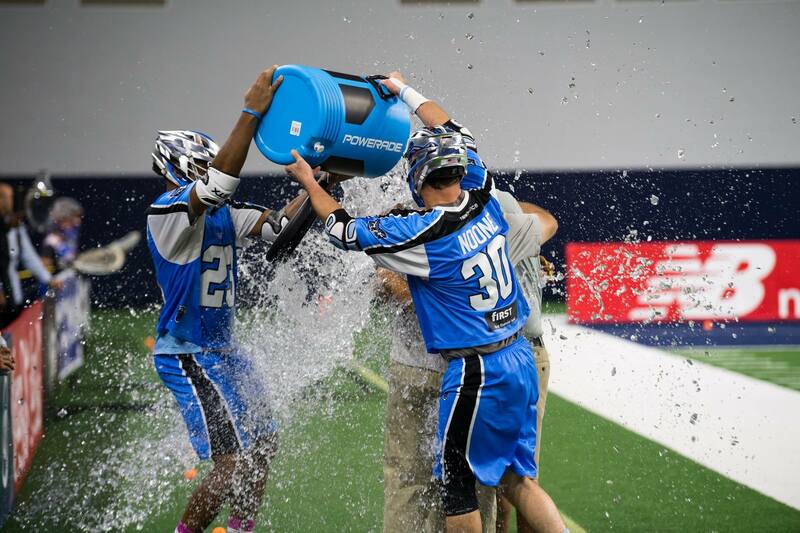 Marcus Holman’s natural hat-trick in the fourth-quarter was the difference as the Machine overcame a mid-game five-goal Outlaws run with a seven-goal run of their own. Denver led 10-9 heading into the final frame. They maintained their lead until Greg Puskuldjian’s goal at 5:08 tied the game at 12. Seven unanswered goals marked the end of the Outlaw’s reign as champions. The first quarter felt like deja vu for the Outlaws. Ohio took an early 2-0 lead on goals from Mark Cockerton and Patrick Harbeson before a three-goal run put Denver on top, exactly as it happened in their semi-final against Rochester. Wes Berg got the Outlaws on the board at 6:04, scoring on an overhand shot. Berg then passed to Eric Law who bounced the ball past Kyle Bernlohr. Law then passed the ball from behind the net to Mike Bocklet to put the Outlaws up 3-2. A pair of late goals from Machine rookie Connor Cannizzaro, a quick-stick and a spin shot, gave the 4-3 lead back to Ohio after the first quarter. League MVP Tom Schreiber increased the lead to 5-3 with an unassisted effort to open the second. Denver roared back though, refusing to allow the Machine any true momentum. Matt Kavanagh scored a pair of goals to even the score at five each. Holman then scored a power play marker that briefly got a one-goal lead back for Ohio, but on the ensuing face-off, Outlaws rookie Zach Currier scooped up the loose ball and sprinted to the goal, beating Bernlohr on the run. Bocklet got the ball at the side of the net and threw a fake before potting the ball over Bernlohr with no time left on the clock. Three straight from Denver put them up 10-6 in the third. Wes Berg sandwiched a low bounce shot from Eric Law. But late in the quarter, Peter Baum put the Machine on his back, scoring a pair from just inside the two-point arc. Kyle Harrison added a goal from the same spot, leaving the Machine trailing just one. Matt Kavanagh’s third and fourth goals sandwiched Cannizzaro’s third in the first five minutes of the last quarter before the Machine started their inspired run. Cannizzaro and Holman led the Machine with four goals each. Jake Bernhardt and Peter Baum each had two goals. Matt Kavanagh had four for Denver, while Wes Berg had three. Law and Mike Bocklet had two each. It’s an indescribable feeling to win a championship, especially beating the team who beat you in the past. Eric Law broke the 18-18 tie last year with just 13 seconds left to play. There was no time for the Machine to come back in that one, but they took that experience and made a positive from it. The Machine never let the Outlaws feel settled. Even up 10-6 in the third, the Machine’s defense refused to concede and increased their caused turnovers and loose balls, giving their offense more chances. The Outlaws didn’t have an answer for the drive that shone through in the fourth quarter.